Volunteers are part of our family helping in almost all areas of Tabitha’s House including prayer, events, programs, community awareness and fundraising. Tabitha’s House could not provide high quality services without a supportive and involved community of volunteers who are motivated to change lives. Please call (678) 804-8823 to inquire about internship openings. If you are interested in being a volunteer, please fill out the VOLUNTEER APPLICATION form or download the printable VOLUNTEER APPLICATION packet. 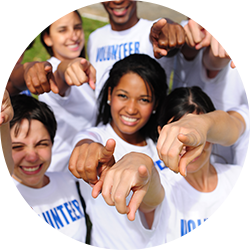 A representative will contact you regarding current areas of need and volunteer opportunities.